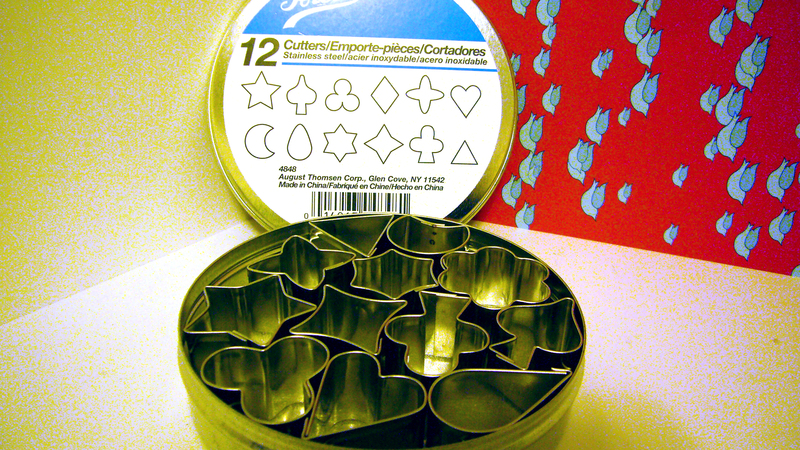 Mini Cookie Cutters Stole My Heart! A couple of weeks ago I was invited to a game night where we were instructed that the theme of the night would be “mini”. This of course translated to myself going on a buying binge of everything mini I could find. Ateco Mini cookie cutters were one of the results of said binge. It was hopeless to ignore. They had several others but I since none of these seem to be holiday specific I was happy with my purchase. I plan to use some them to make some cookies this week! I’ll post my results when I am done. I do love new things. ← Crate & Barrel Easter Stencils.